I just ordered an OWB Clearwater Tactical for my P-09 and Enforce APL. I’ll let the group know how it is. By the way, if you spend more that $50 they are offering one of their wallets for free. Sent from the panic room, via two tin cans attached with a string, and a jail broken Atari 2600, while wearing a Tin Foil hat. 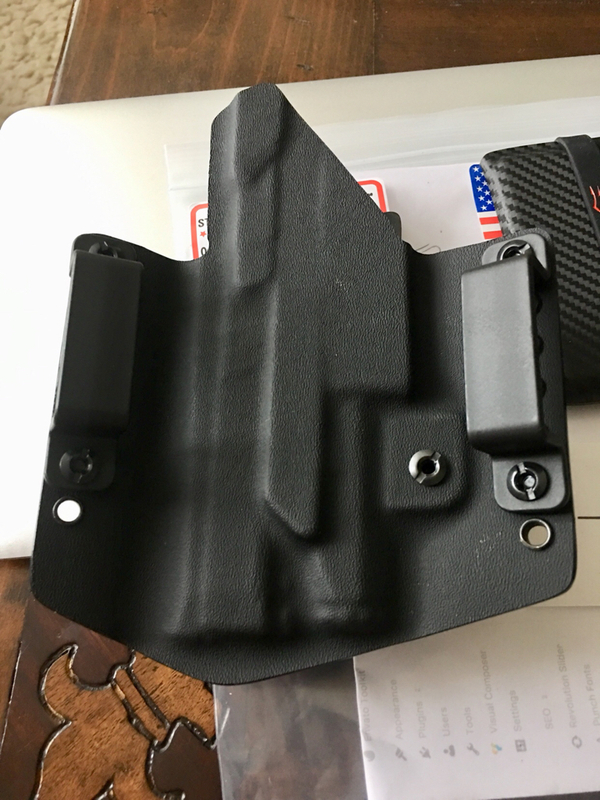 Received my OWB holster today from Clearwater Tactical/Neptune Concealment for the P-09 Enforce APL combo. Very nice fit and finish with good retention. There is one screw to adjust retention and it appears to work well. 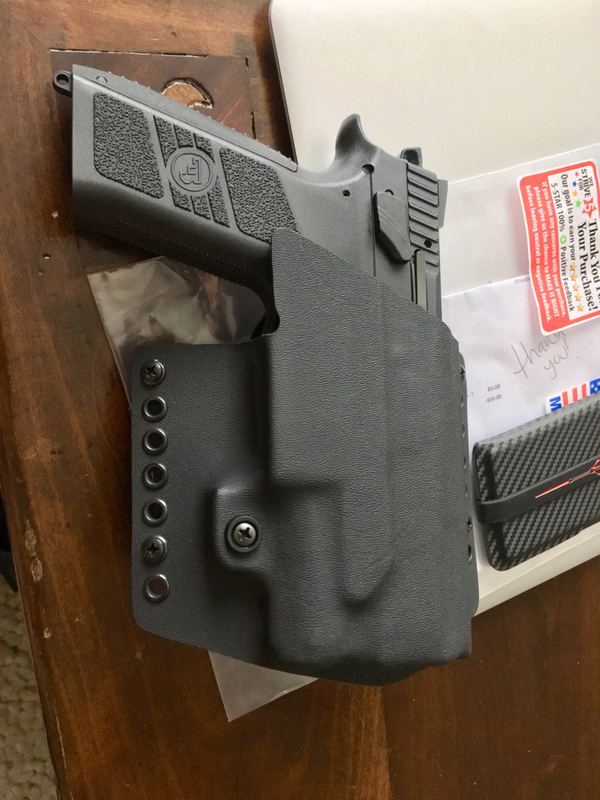 The is a closed bottom holster with the kydex extending the full length of the slide on the body side. 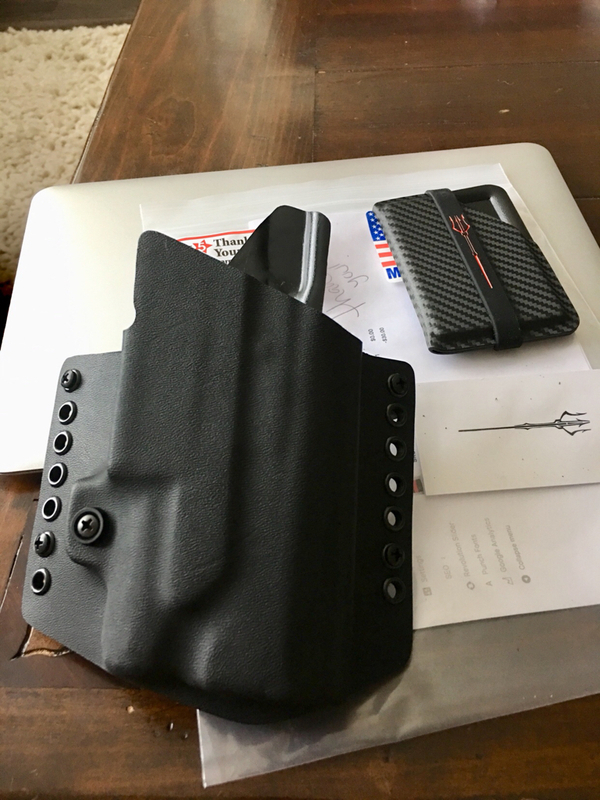 The holster came with a free wallet, a $30 value. I’ll report on its performance after I use it for a while. Prices are very good and I think Rick's kydex skills are top notch. His magazine pouches are fantastic as well. Who makes holters to fit the cz p09 urban grey? 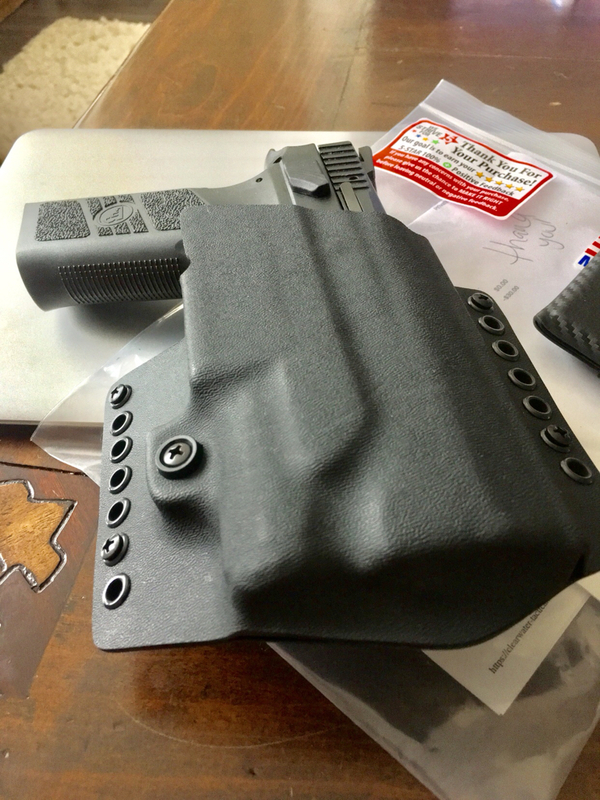 Prefer leather but kydex works also. I saw a couple of posts where folks asked but I did not see a response - I guess the suppressor ready p-09's have higher sights and of course the threaded barrel. Does anyone know if Alien Gear's holsters would fit it? Does anyone have a lead on someone that makes any holster for a p09 with surefire xh35??? I'm sure this is a bit late, but I just joined the group. My alien great 3.0 tuck for the suppressor ready p09 nicely.